Padres’ phenom Eric Lauer took the hill on Ken Caminiti bobblehead night against the Cardinals on Friday. It was the first start of his career at Petco Park. The Cardinals sent fireballer Luke Weaver to the mound to take down the Friars. Eric Lauer cruised through the first. After allowing a Tommy Pham single, he subsequently picked him off. Lauer excels at holding runners on and fielding his position. The Cardinals got no runs in the first—giving Eric Lauer eleven consecutive shut-out innings. For the Cardinals, Luke Weaver struggled in the first inning, allowing back-to-back base hits, running off 26 pitches before retiring the Friars and leaving them with no runs. In the second inning, all hell broke loose for Eric Lauer, who struggled with command and velocity throughout his brief start. The beginning of the apocalypse was a nine-pitch Paul DeJong at-bat that ended with a three-run home run. Luke Weaver settled in for the Cardinals, as the Padres’ hitters seemed deflated. 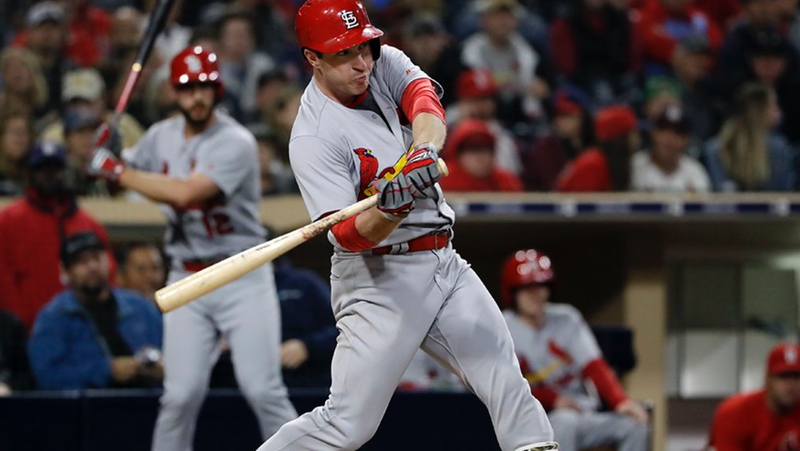 Lauer struggled again in the third, giving up multiple home runs, including one to former Padre Jedd Gyorko. Andy Green took the ball from the 22-year-old then and gave it to Bryan Mitchell. It was a disappointing outing for the Padres’ phenom, but one he can learn from. His next start will be a big one. The game’s middle innings were relatively pedestrian. The Friars’ hitting continued to struggle, and their immaturity was highlighted by the Cardinals hitters’ superior command of the strike zone and situational hitting. Jedd Gyorko and Tommy Pham continued to tag Padres pitching. Pham’s home run actually hit a Padres fan in the face. The whole game felt that way from the second inning on for fans. In a fitting microcosm of this season in San Diego, Tommy Pham hit a home run off a #Padres fan’s face. A.J. Ellis, Manuel Margot, Jose Pirela, and Franchy Cordero contributed extra-base hits. An additional ray of light for the Friars was the continued awakening of Travis Jankowski, who played an unbelievable game in every facet. Nevertheless, the Padres will want to wipe this one off their shoe and look forward to tomorrow. The Cardinals beat the Padres 9-5, but the game was not that close. On Saturday, Michael Wacha will battle Tyson Ross in a likely pitcher’s duel.